Organize and edit your photos using Picasa, then use Picasa Web Albums to upload and share your photos and videos. Picasa does not store the photos on your computer. When you open Picasa, it simply looks at the folders on your computer and displays the photos it finds. 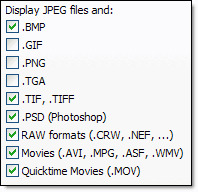 It displays the file types that you tell it to find, in the folders that you tell it to search. Your original photos are preserved. When using editing tools in Picasa, your original files are never touched. The photo edits you make are only viewable in Picasa until you decide to save your changes. 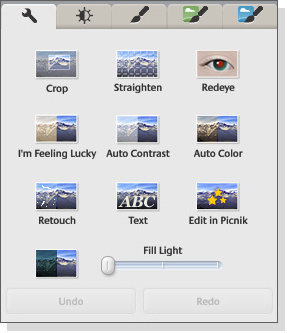 Even then, Picasa creates a new version of the photo with your edits applied, leaving the original file preserved.